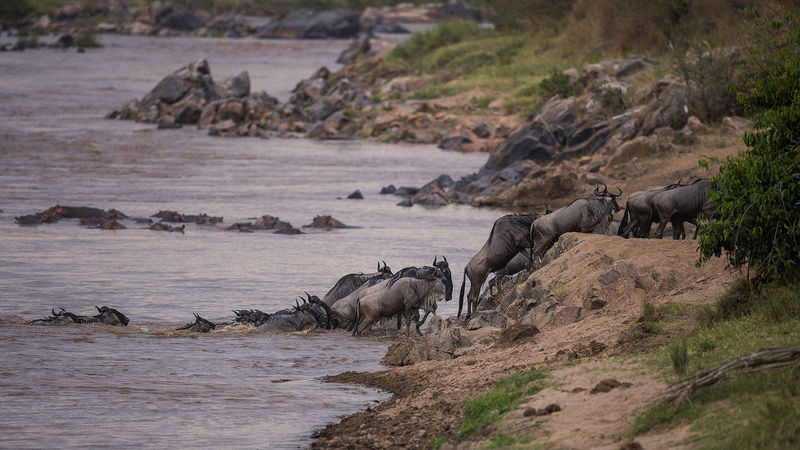 The Mara River crossing safari is mainly focusing on the great wildebeest migration. This is when crossing the Mara River to the masai Mara game reserve which is in southern Kenya from the Northern Serengeti Kogatende area. The best time of viewing the crossing between late July to Beginning of September. 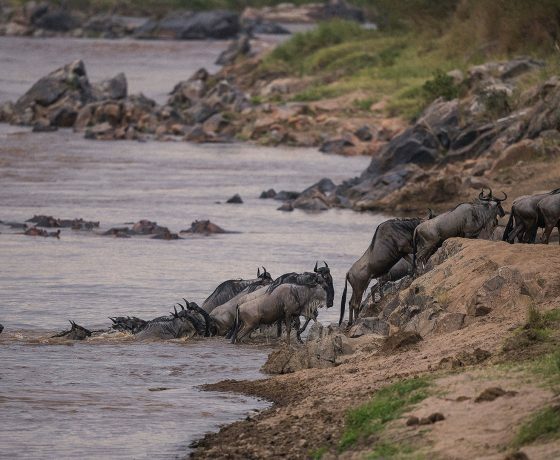 There are over 1.5 million wildebeest that are accompanied by the zebras as well as the gazelles that cross backward and forth Mara River during the times of the year. You will also visit the Mto Wa Mbu cultural village as well as the crater rim walk. Ngorongoro crater rim walking safari. Upon your arrival at Kilimanjaro International Airport, you will be meet by our representative who will transfer you to your hotel for an overnight stay. The professional guide will then brief you about the whole safari. 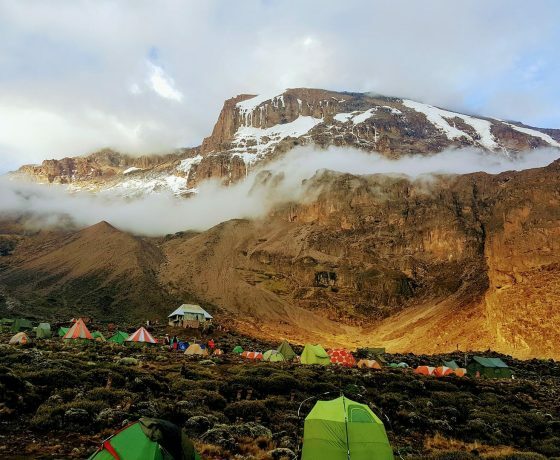 You will depart in the morning from your hotel to Arusha Airport in order to catch your flight to Lake Manyara National Park for the biking Excursion within the Mto Wa Mbu Village followed by the hot local lunch. Immediately after lunch, proceed to Manyara NP to enjoy a game drive. This national park is green throughout the year due to its underground water sources. 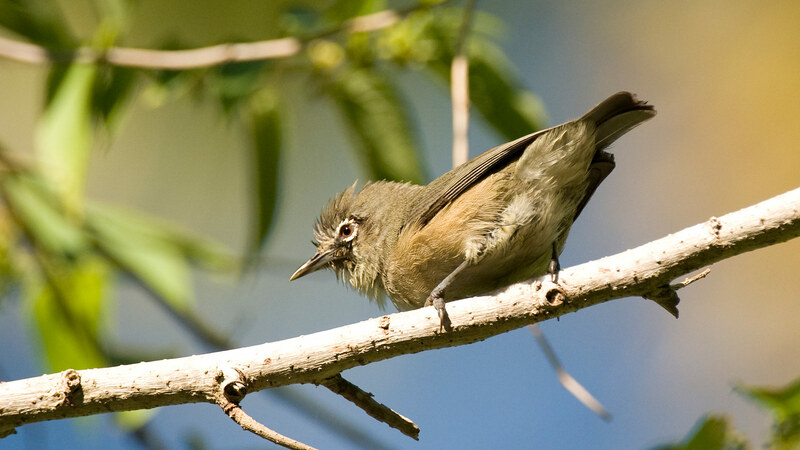 The verdant colour of the park attracts hundreds of varieties of migratory as well as wetland birds flying overhead. It also attracts large populations of flamingos due to its shallow alkaline saline soda lake that creates an ideal environment of the microorganisms that grow the flamingos feeding upon them. The park has a natural habitat that includes: large troops of baboons, blue monkeys, vervet monkeys, Grant gazelles, leopards, impalas, warthogs, cheetahs, Thomson and grant gazelles, rick/tree hyrax, elands, kudus, waterbucks, bush bucks and the dik- dik that live in the park. There are also many other options that include; Forest hike, Village walk as well as Nature walk. In the evening, have some leisure time with a hot dinner. Have breakfast and after proceed to the endless plains of the Serengeti by way of the lush Ngorongoro crater highlands with fertile soils that grow crops like wheat, corn, as well as coffee. 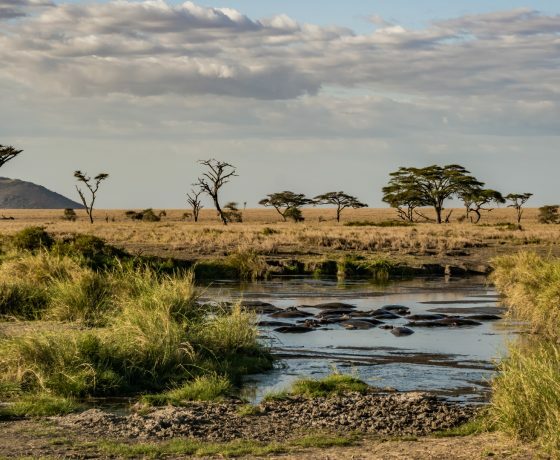 This name Serengeti comes from the maasai word ‘Siringit’ which means endless plains. You will also view its ocean of grassland savannah that stretches to the Horizon as far as your eyes can view. 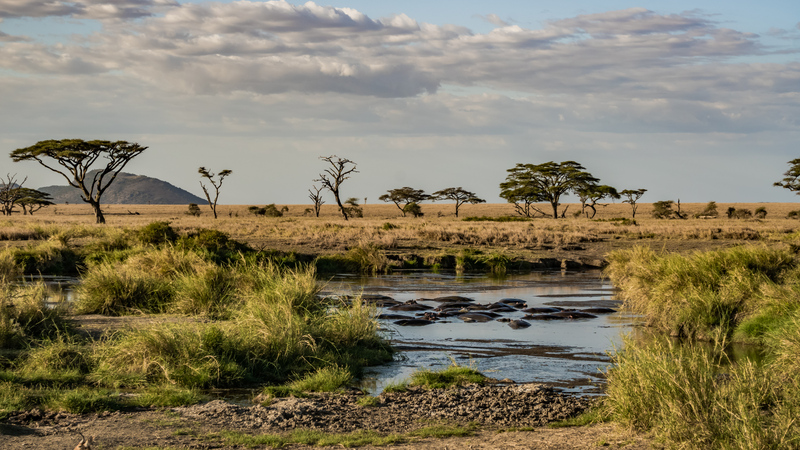 The ecosystems of the Serengeti is also one of the oldest and most well preserved on earth with essential features of the climate, vegetation, fauna, and flora which have barely changed in the past million years. Late in the evening, drive to the camp for an evening leisure as well as a hot dinner. Have breakfast and after depart with a picnic lunch to the Northern Serengeti in the Kogatende area following the annual great migration at the Mara River.you will have a game drive which will take you along the mara River and many other interesting places in the north where the large groups of the wildebeests will be found. 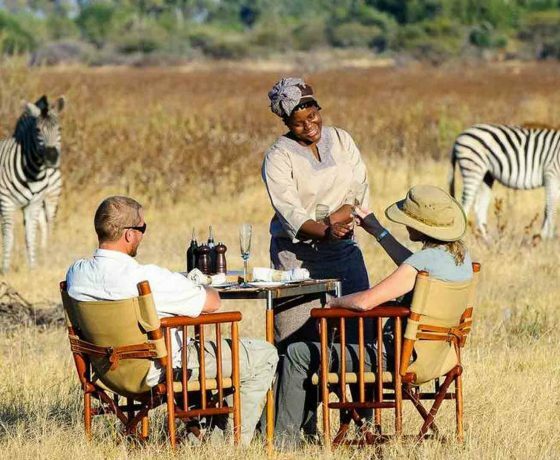 After this full day of the game drive, we will then drive to the camp for an evening leisure as well as hot dinner. 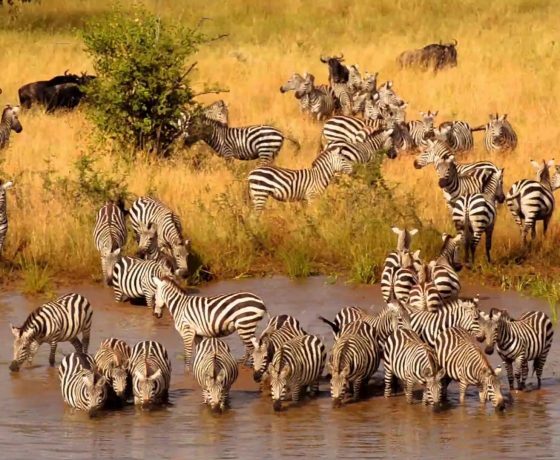 Enjoy a full day of game viewing along the Mara River following the annual great migration, you will get chance to view many animals including; the zebras, wildebeests, antelopes, giraffes and many birds. Arrive at the camp for evening leisure as well as hot dinner. 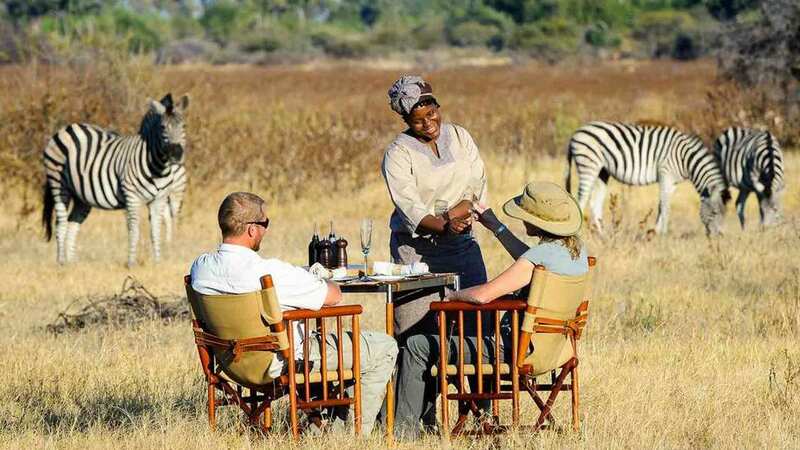 Have breakfast and after proceed for a picnic lunch for the final game drive with in the Serengeti. After lunch, we will drive in the direction of the Ngorongoro crater. You will do game drives on your way to Ngorongoro Conservation Area while crossing the Central Serengeti and the Seronera Valley famous for many animals that can be viewed in Central Serengeti as well as a lot of birdlife in the area. If you wish you may go straight to the Ngorongoro Crater rim where we you can get out of the safari jeep so that we can enjoy the view while having a walking safari along the crater rim for around two full hours (Please request for this in advance). After, you will proceed to the lodge to have leisure and a hot dinner. Have breakfast and after drive to the Ngorongoro Crater and after descend into it to have a game drive. This crater was formed over 3 million years ago. And it inhabited a unique ecosystem of more 25000 animals. Within the grass steppes and Acacia forest, you will find every type of animals from the east African savannah. There are the big five animals including; the Rhinos, elephants, Cape buffalo, lion and the leopard. The other animals include; zebras, hippos, wildebeest, cheetahs. The Ngorongoro crater ecosystem also maintains a historic balance between people and nature. After, having lunch, proceed to Tarangire for the evening leisure as well as a hot dinner. Have breakfast and then depart to Tarangire National Park, this park has got the highest concentration of elephants in the North-Tanzania and the animal can be viewed all year round where the elephant herd populations can reach as many as 3,000. Tarangire River has got water all round. 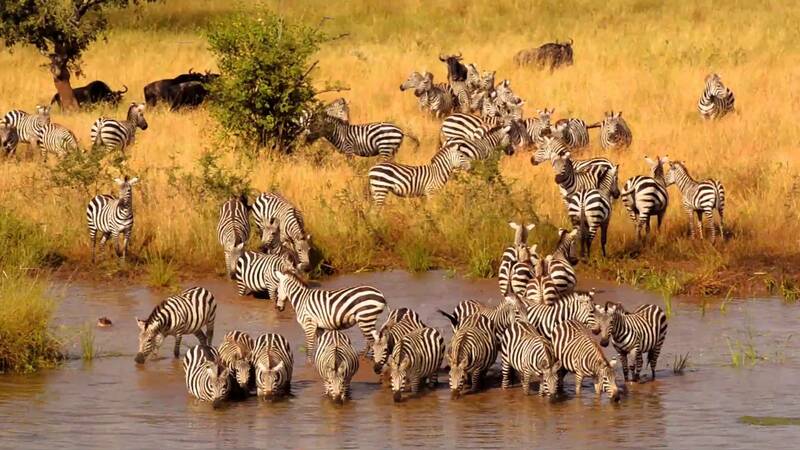 In the dry season of July to October, many animals form the surrounding areas come to the river to drink. If you visit the park during the dry season, you will witness an unforgettable natural wonder as you observe many mammals like lions, buffaloes, giraffes, wildebeests, zebras, antelopes as well as the gazelles. 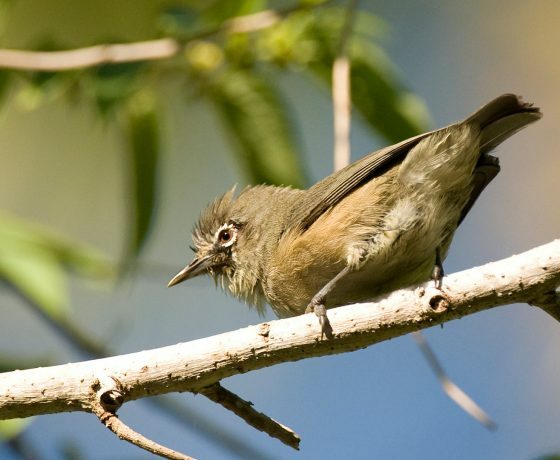 In the dry season, the par is a haven for bird watchers with over 550 species of birds including the Masai Ostrich which is the world’s largest bird. Picnic lunch will be served on this day. 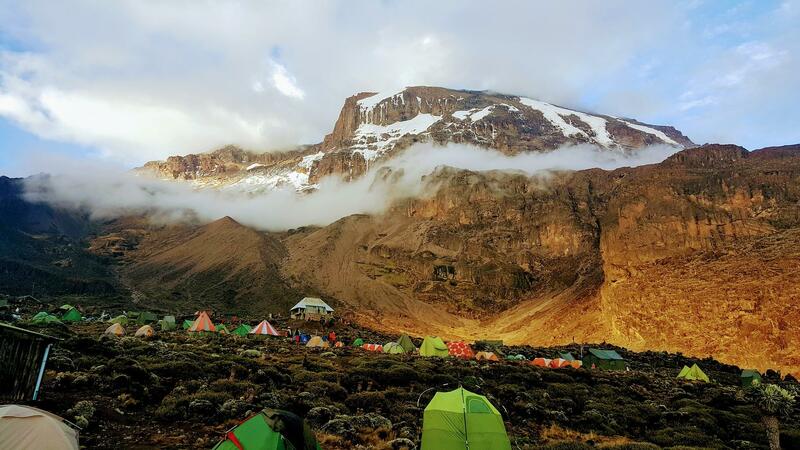 Later on, get transferred to Arusha Airport for your flight to Zanzibar for beach extension or the Kilimanjaro International Airport for your flight back home, or drive back to Arusha town and dropped off at your hotel if not departing today.